To all the sickies out there.. STAY HOME!!!! 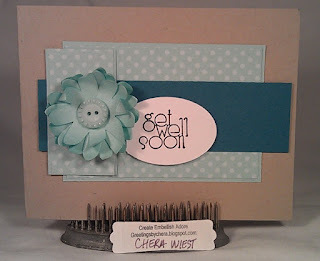 I put together some get well cards. Perfect use of the SU! Pop Up Posies Designer kit, just like I used yesterday. Of course using the Pool Party makes even better. 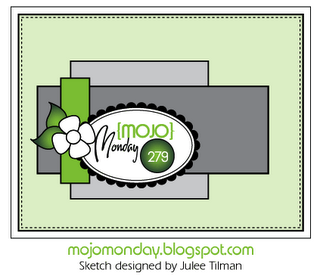 I used the Mojo Monday sketch, to put this together. It was fun and the touch of Indigo makes it fun! Go ahead, give it try! this is super cute, luv your flower...hope you have a fabulous week!